Back in April we went on our first family staycation in Fort Worth and couldn’t have been more thrilled with how our trip turned out! After that, I couldn’t wait to go on another one but with our busy summer it took until August before we were able to squeeze one in. 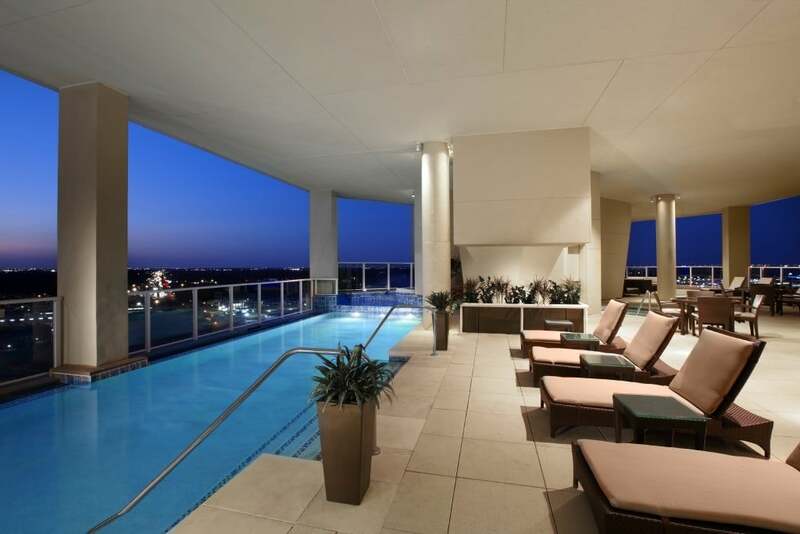 Staycations are the perfect way to explore a new city in your home state affordably and with little time. Although with all the options to see and do, along with the posh accommodations out of towners could definitely spend a week here and not see it all. This time we ventured again about three hours away from Austin, but this time to Houston. Aside from staying at a friend’s house as a stopover point before carrying on to Florida on our annual family trek, we haven’t had the opportunity of spending much time in the city. 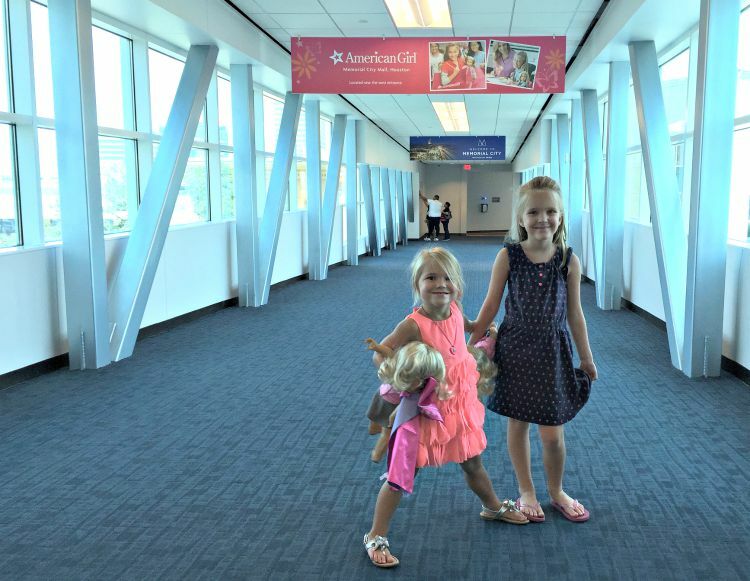 The Westin Houston Memorial City is having a special American Girl Experience and with two girls, invited our family to take part. Our girls would drive us nuts leading up to an experience like this so we waited to tell them till we were on our way. They couldn’t have been more excited at the prospect of staying at a hotel and shopping for dolls! With a more flexible schedule prior to school starting we were able to arrive shortly after lunch since we requested an earlier check in time than usual (which is at 3pm) which was quick and painless even though the hotel seemed to be hosting several events that weekend. our room was beautifully appointed for our stay. Upon arrival to our room, we were greeted with the best view in Memorial City. We could see the Houston skyline, the Memorial City mall, and had an expertly appointed American Girl experience waiting for us. There were dolls that looked like each of the girls, cake pops and milk (in the fridge), as well as personalized letters welcoming each of the girls to the hotel and their weekend experience. We only had a quick stint in our room before heading downstairs and across the skywalk to the Memorial City Mall American Girl store. 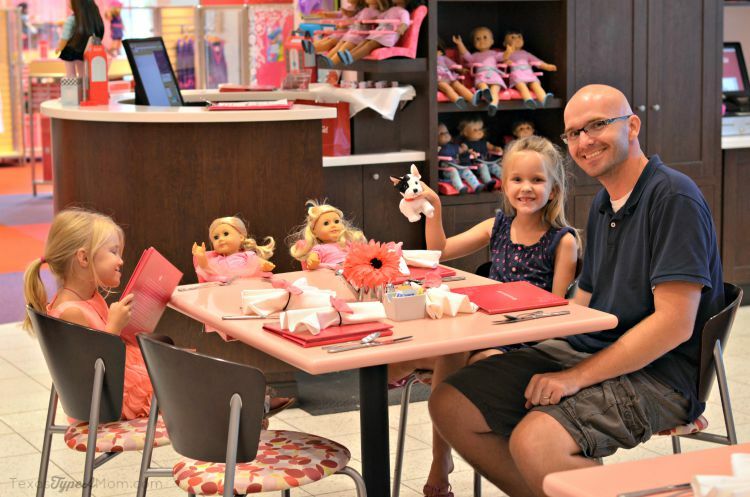 Before getting to the mall, you’ll pass Westin’s Ingredients Cafe which has complimentary hot chocolate when you purchase the American Girl package! It was so convenient having the skywalk attached to the hotel. 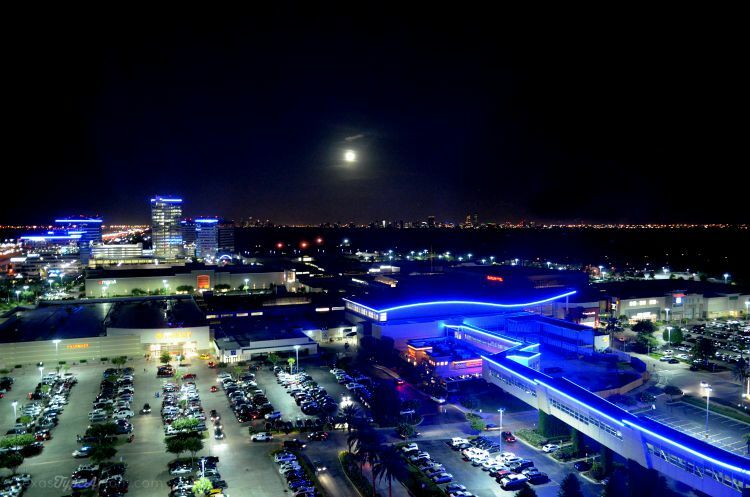 You don’t have to go out in the heat or rain or cross a busy street to have all of the great stores (including Target in case you forgot some essentials for your trip), restaurants, and fun things to do like ice skating and a movie theater! 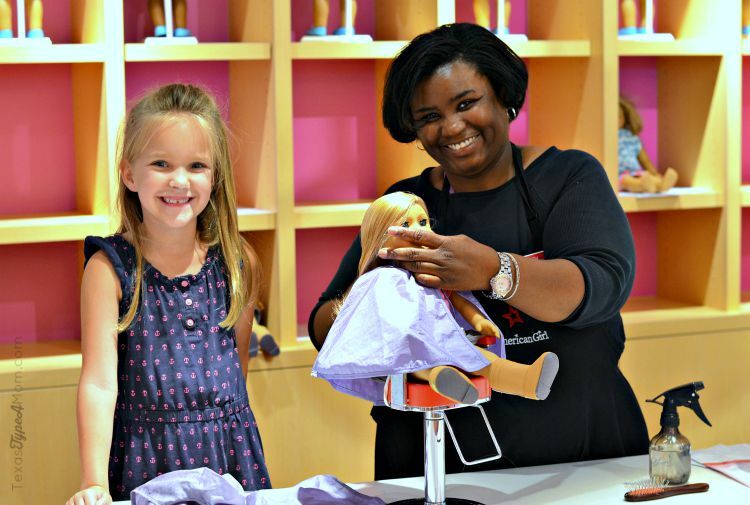 Once at the store, the girls looked through binders of hairstyles and chose a new look for their American Girl dolls and were even able to get hands-on and help the employees design their dolls new dos! 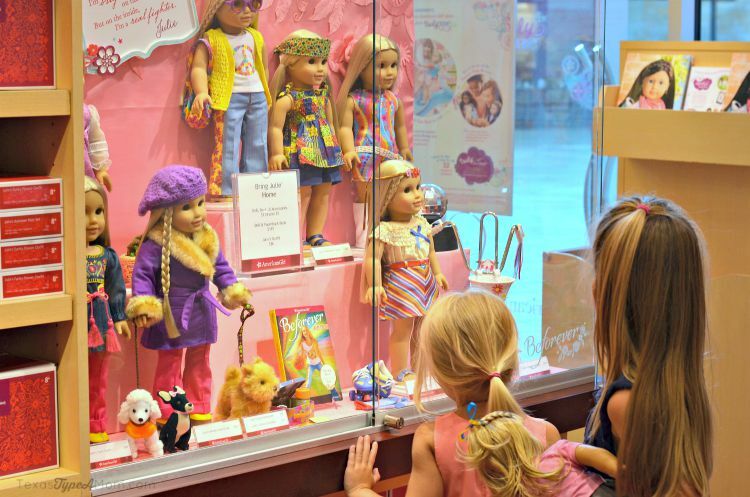 Shopping at an American Girl store is unlike shopping for toys at any other store. Each doll, each outfit, each accessory has been thoroughly considered and planned out in impeccable detail. Dolls are designed to be historically accurate depicting not only the clothes of the period but in the case of Native American dolls, the expressions and mannerisms as well. My personal favorite doll was Julie Albright, based on a 9 year old girl living in Berkeley in the 1960s. Even more fun for girls is they have clothes identical to those their doll wears! If you have American Doll lovers, I highly recommend taking a tour to appreciate all the nuances and history behind each doll. Even the dolls that appear to be everyday and average have accessories that are progressive and innovative for a doll. After spending several hours in the car and an afternoon shopping, we all worked up an appetite. 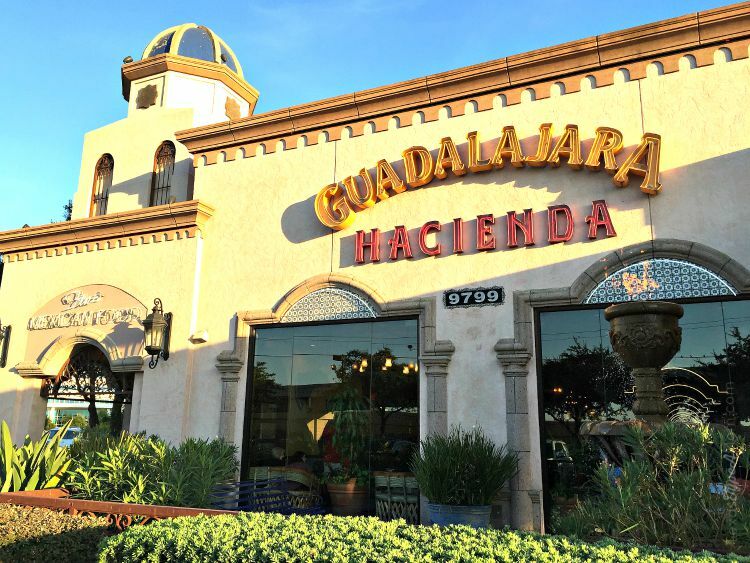 Just up the frontage road from our hotel, we found the Guadalajara Hacienda restaurant for some Tex Mex. Honestly we get such amazing food in Austin, the bar is set pretty high when dining out but Guadalajara definitely delivered from the salsa and queso to the enchiladas and carne asada. One of the highlights of any trip for the girls is a visit to the pool. 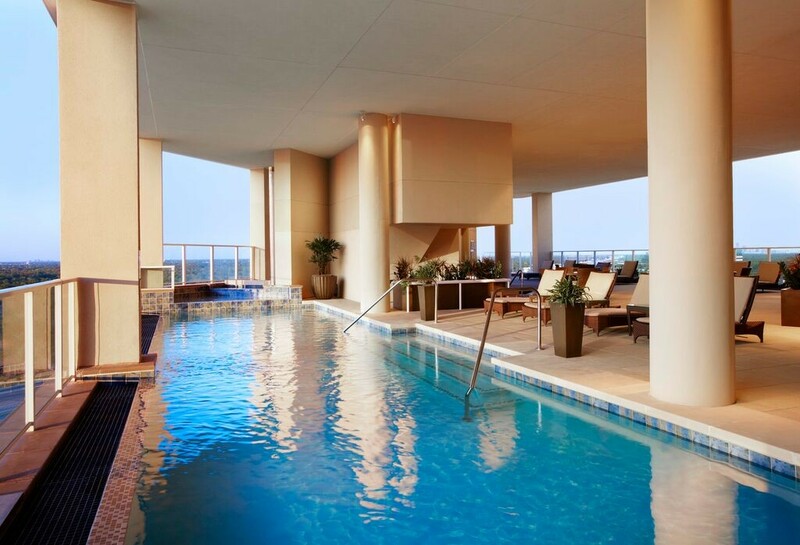 With triple digit temps during the summer, there’s better spot to cool off than the 18th floor infinity pool. Unfortunately for us they were closed while we were there but this amazingly unique feature is not to be missed! If working out is more your thing, there is a well equipped fitness studio in the hotel as well as a program called run Westin where you can run through the city led by a guide with a group of other runners from the hotel. With so many options for plans the following day we couldn’t possibly decide what to commit to. 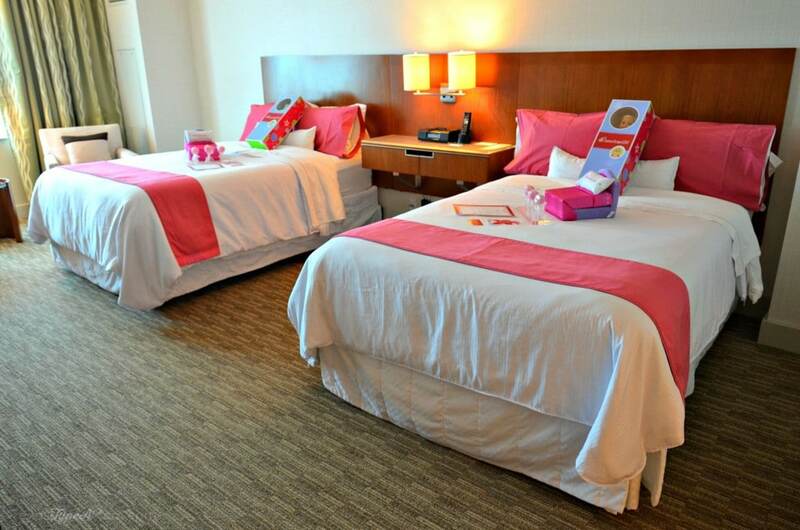 As part of the American Girl experience, you also get to enjoy a complimentary in-room family movie of your choice but after an exciting day, these little ones needed to get some extra sleep for the next fun filled family day. Unfortunately, our plans for a weekend staycation were cut short due to the unexpected passing of my father-in-law. 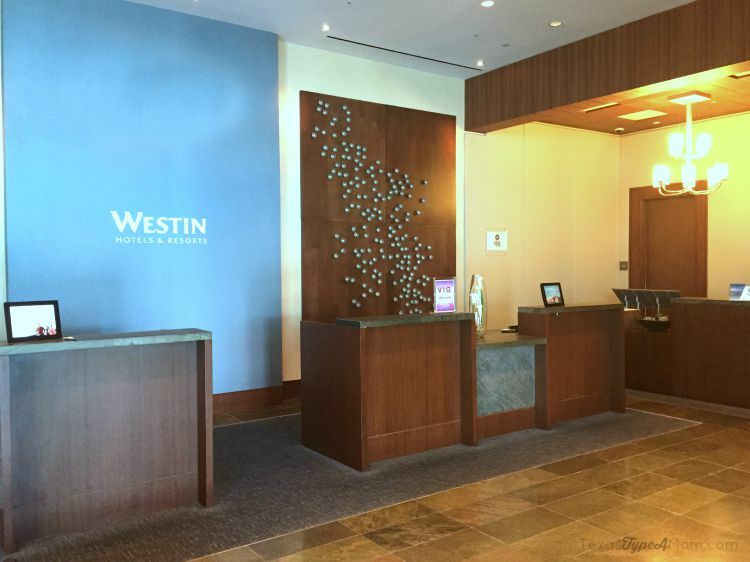 Because of conditions beyond our control we were unable to experience all that the Westin Houston Memorial City and the Houston area had to offer, this hotel is so perfectly positioned and appointed I can definitely see us returning in years to come! Breakfast for one adult and one child in 024 Grille, plus a surprise for your girl. 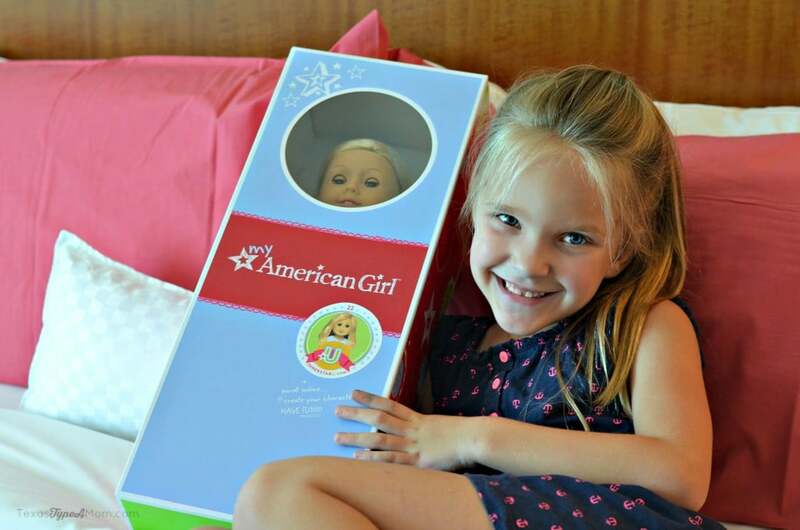 Rates for the American Girl Experience packages start at $199 and can be booked directly through the Westin Houston Memorial City’s website. Birthday packages are also available for two adults and up to four girls and start at $785. Keep up with the latest events by following the hotel on Twitter, Facebook, and Instagram. 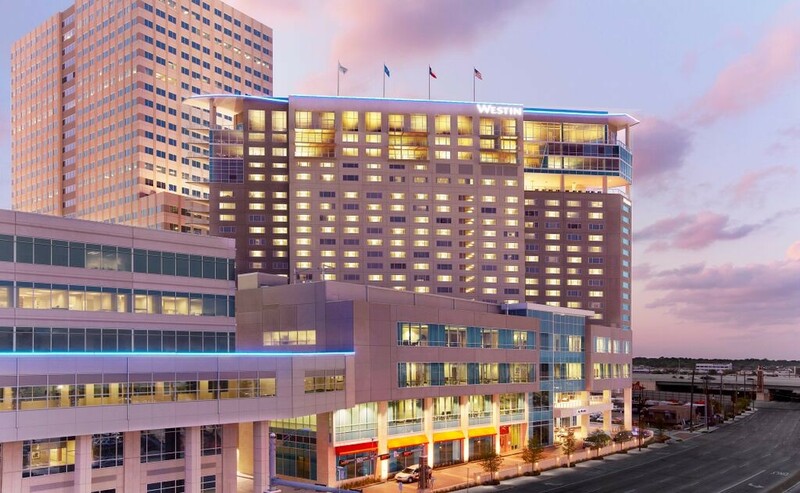 To find more great reviews of the hotel on TripAdvisor where in 2015 the Westin Houston Memorial City won the TripAdvisor Certificate for Consumer Excellence! One restaurant I was especially eager to try but wasn’t able to make it to is the newly opened Vallone’s. Vallone’s is adjacent to the hotel and services cuisine and specializes in steak, seafood, and pasta. On our next visit, I’ll be trying out the Salt Crusted Gulf Red Snapper for sure. 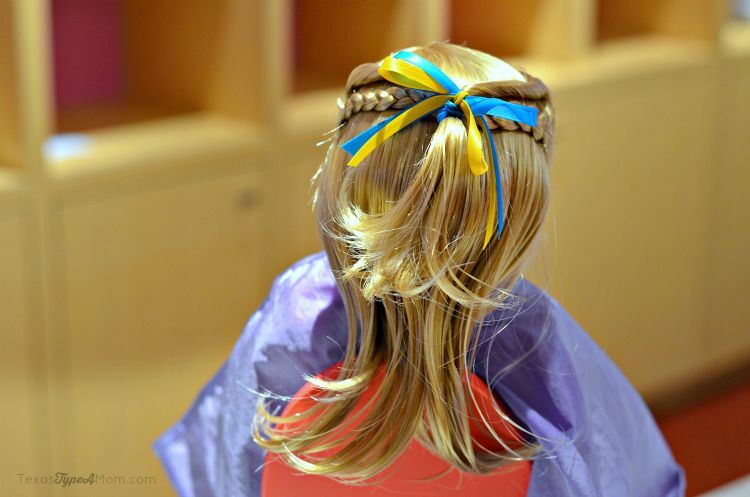 Brush & Blush Blow Dry Bar: you can contact this Westin partner to book an appointment for your girls to get “twinsie” hair with their dolls. What a fun experience! Even those beds set the tone for what was to come! 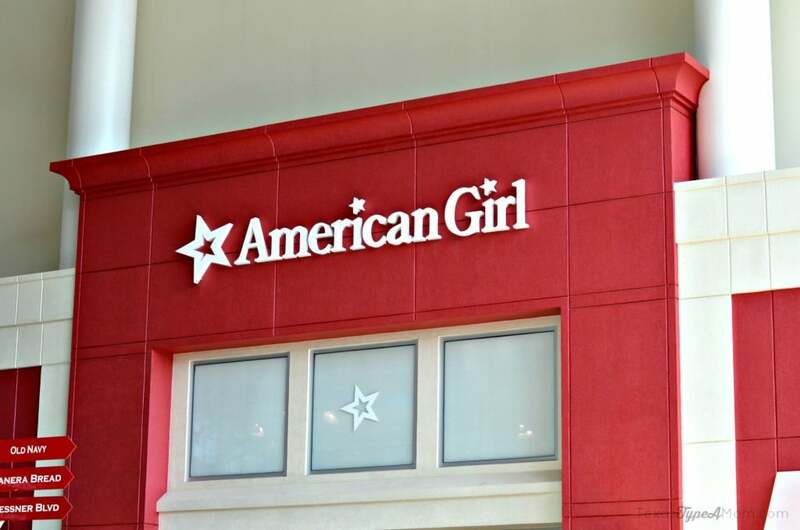 We have an American Girl Bistro near us, and it is so popular!! Wow oh wow! My oldest loved American Girls and now my 5 yr old is getting into them. She would absolutely love this experience. How amazing! !